July 2013 Book of the Month. 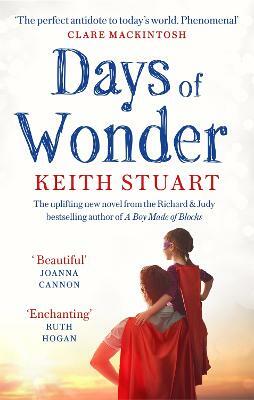 The bestselling author of Secrets of the Tides returns with a spellbinding tale of grief, jealousy and betrayal. 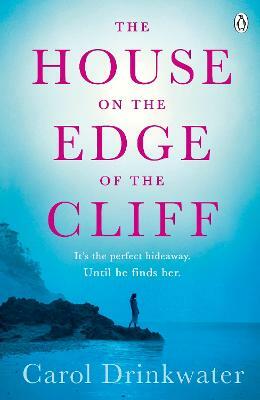 An isolated cottage, deserted like the Marie Celeste, holds secrets and hidden dangers for a woman looking for some solace and space to escape her marriage. Perfect for fans of Maggie O'Farrell, Rosamunde Pilcher and Jodi Picoult. 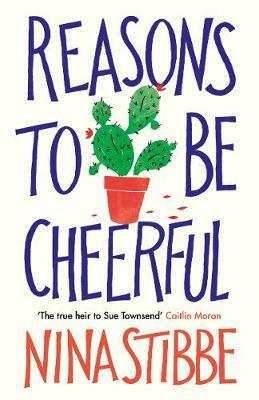 In addition to our Lovereading expert opinion for The Shadow Year a small number of Lovereading members were lucky enough to be invited to review this title - 'it is a perfect summer read, one to take on holiday and lose yourself in...it would get a very strong 10/10 from me. I absolutely loved it.' - Angela Hunt. Scroll down to read more reviews. That’s why I loved writing my novel, The Shadow Year. In telling the story of two distinct but intertwined years that play out in a remote Peak District location, I was able to revisit the English landscape and explore the impact the shifting seasons have not just on a place, but also on the characters who come to inhabit it. In my novel, a group of friends arrive at a remote, tumbledown cottage with lofty ideals of living off the land. Through writing their story, I was reminded of seasonal moments I once took for granted: the scent of wild garlic crushed underfoot . . . the reckless abandon evoked by a scorching summer’s day . . . the claustrophobia caused by never-ending rain spattering on window panes . . . the thrill of the first snowflake falling from a slate-grey sky. On a glorious summer's day in 1980, five friends stumble upon an abandoned lakeside cottage hidden deep in the heart of the English countryside. Isolated and rundown, it offers a retreat, somewhere they can escape from the real world. For Kat, it's a stay of execution: living there for a year will surely give Simon the time to fall in love with her. For Simon, the cottage is a way to avoid his parents' expectations and his impending legal career. For all of them, it's a chance to live the dream, with lazy summer days by the lake and intimate winter evenings around the fire. But as the seasons change, tensions begin to rise and when an unexpected visitor appears at their door, nothing will ever be the same again...Three decades later, Lila arrives at the remote cottage. Bruised from a tragic accident and with her marriage in crisis, she finds renovating the tumbledown house gives her a renewed sense of purpose. Little by little she wonders about the cottage's previous inhabitants. How did they manage in such isolation? And why did they leave in such a hurry, with their belongings still strewn about the place and, even worse, a bullet hole evident in a kitchen beam? Most disturbing of all, why can't she shake the feeling that someone might be watching her? We have asked a select number of members and browsers to review The Shadow Year. You can read their reviews below. Angela Hunt - 'It is a beautiful story, told with such passion that I could not put it down...Nothing is wasted in this book, not a single word. I recommend this book very highly, it is a perfect summer read, one to take on holiday and lose yourself in...If it was rated, it would get a very strong 10/10 from me. I absolutely loved it.' Click here to read the full review. Berwyn Peet - 'What a terrific and satisfying novel this is. I loved it... It’s a page turner to the very end and satisfying on all levels – character, descriptions of the countryside in different seasons, compelling plot and excellent writing. I think this is only the writer’s second novel but I thought the structure and pacing were masterful.' Click here to read the full review. 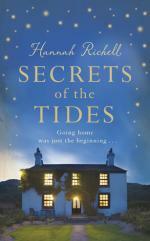 Linda Birt - Once again Hannah Richell author of Secrets Of The Tides has created a tale of overwhelming jealousy, ultimate betrayal and life changing events, which keeps you spellbound to the very last page.' Click here to read the full review. Nicola Cooper - 'The Shadow Year is a moving and intriguing book, peopled with memorable characters. It is a story of love, betrayal and secrets unfolding... Very enjoyable!' Click here to read the full review. Josie Barton - http://jaffareadstoo.blogspot.co.uk/ - 'The Shadow Year is an absorbing story of multi-generational deceit which works well on all levels. The author writes with great confidence, her storytelling skill is impeccable, and as she deftly manoeuvres between past and present there is no lull in the narrative, nor does the shadow of the past attempt to outshine the future.' Click here to read the full review. Jayne Burton - 'Very cleverly written tale. An excellent and intriguing read. Love it as much as her book Secrets of the Tides. Didn't want it to end!' Click here to read the full review. Teresa Majury - http://www.lovelytreez.com/ - 'A cleverly constructed story which will keep you reading until the wee small hours. Think The Good Life crossed with The Secret History!' Click here to read the full review. Jillian McFrederick - 'I loved this!...A story excellently told, with characters well drawn, I was immersed in their world and although the 1980s tale was idealistic and a bit farfetched initially it all made sense by the end...A great read, highly recommended and a great follow-on to The Secret of the Tides.' Click here to read the full review. Emily Wright - 'The Shadow Year unfurls into an intriguing tale; the threads binding two generations together are expertly woven by Hannah Richell into a story of love, obsession, family and honesty and the sacrifices each character will make protecting what is precious to them.' Click here to read the full review. Nicola Greenwood - 'Hannah explores the fragility and diversity of human emotions and how decisions we make and actions we take can change the direction of our path and the impact this then has on others.' Click here to read the full review. Maggie Crane - 'Jealousy, betrayal, egotism, insecurity, and sheer unadulterated anger at the life individuals have been dealt comes through so strongly that it is still buzzing around in the mind even when the reader has put the book down!' Click here to read the full review. Clare Topping - 'The author has made this tale of friendship, mystery and betrayal an easy read, but with an occasional twist along the way. Definitely something to take to the beach this summer.' Click here to read the full review. Linda Rollins - 'If the whole book had been just the second half, then I think I would have enjoyed it much more, but for those readers who have time to meander through its pages, I think it is definitely still worth a read.' Click here to read the full review. Sian Spinney - 'The Shadow Year is a book full of twists that made it a compulsive read. 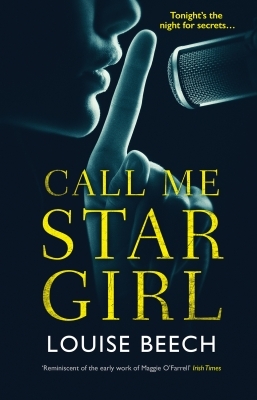 I read it whenever my busy life allowed me time for a couple of chapters and finished it in 48 hours...I would thoroughly recommend this engrossing read.' Click here to read the full review. Sandra Robinson - 'An absolutely fabulous second novel from Hannah Richell. I highly Recommend it.' Click here to read the full review.